The State government is making arrangements to launch Rs05 meal scheme in Mandadam, Nidamarru, Thullur in the capital region on a pilot basis on May 28. If the scheme is successful, it will be extended to some more mandals and towns. On the directions of the government, the district administration has already started process to set up the canteens. 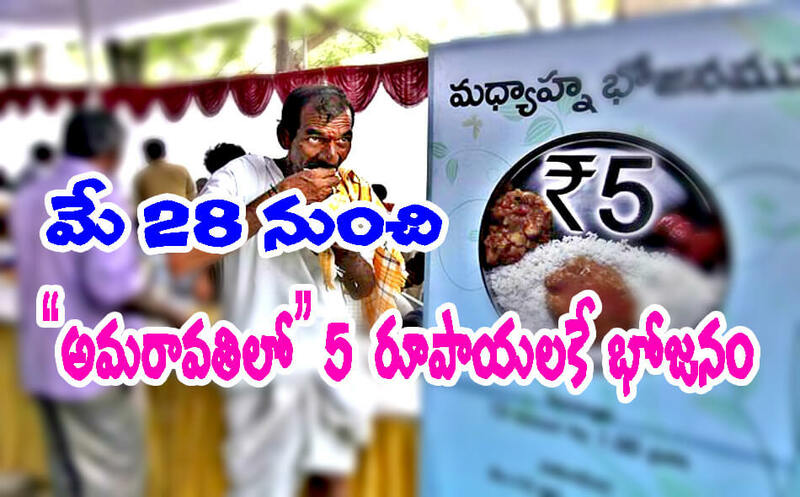 Akshaya Patra Foundation will prepare food and serve it to the visitors to the canteens. According to sources, the canteens will be set up at Thullur and Nidamarru villages in Thullur mandal and Mandadam village in Mangalagiri mandal. The canteens maybe named as Anna Canteens or NTR Canteens. The district officials are yet to finalise the menu and working hours of the canteens.